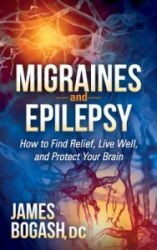 [rotatingtext group=”1″]Chronic pain, whether we’re talking about chronic neck pain, chronic low back pain or even shoulder pain, can be debilitating. Many times the treatment for these conditions can be as dangerous as the condition itself. However, safe alternatives exist. It is not uncommon for our office to see a new patient who is a mother with a young infant. Just today we had a new patient of a 2 year old girl who is on Neurontin and Vicodin. These drugs can make it very difficult to be “present” with a child and may even present a danger while driving or caring for a child. However, chronic pain can make it impossible to function. Obviously, getting a comprehensive treatment plan (this particular patient from today will have soft tissue treatments geared towards restricted fascia, stretching and adjusting) from a chiropractor who specializes in soft tissue work is a cornerstone of chronic pain treatment. Frequently, this is not enough. Many chiropractors have additional pain control treatments available. 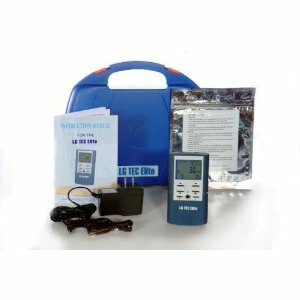 One of the ones we use frequently in our office is a transcutaneous electrical nerve stimulation units (TENS). This is a little Walkman-like device (and for those of you who don’t know what a Walkman is…Google) that uses a 9 volt battery to help control pain. The device works much the same way as rubbing your head or elbow after you bump it. We have fibers that carry pain (C fibers), but do so slowly. Then we have fibers that carry touch sensation (A-beta) that move signals very fast. When you rub your elbow after you smash it into a brick wall, the touch sensation from the A-beta fibers run back to the spinal cord and block the C fiber sensation of pain from getting to the spinal cord. 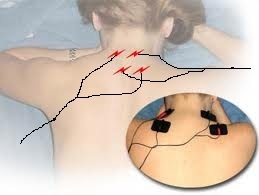 A TENS unit uses a light electrical current to constantly stimulate the A-beta fibers to help control pain. This can work remarkably well for most people (although not all find relief) and the beauty is that it is non-pharmacological and non-addicting. At least I’ve never heard of anyone holding up a 7-Eleven for a 9-volt for their TENS unit.. Many of the units have timers so you can set them and go to bed with the unit on and not have to worry about it. If the timer runs out and you find that you need more pain relief, merely shut the dials off and turn it back on. Most units have different settings that are available, usually inside the case by the battery. The first dial is usually pulse width and can range from 40 – 250. In general, the higher numbers will provide better pain relief. The second dial is the pulse frequency or rate. This is a much more important factor, and lower numbers are more effective from chronic pain while the higher numbers are used for acute pain. Electrode placement is simple, but seems to be the confusing part for most patients. The unit will have two leads with 2 electrode wires each. Each lead will form a leg of an “X” with the two electrodes. Doesn’t matter which color. These are then plugged into the unit itself and each of the power knobs on the top are slowly turned on, one at a time, until the sensation from the current is felt and comfortable. If you have any questions, make sure to ask your chiropractor, or, if you are a patient at Lifecare Chiropractic, ask one of our doctors the next time you’re in.